The peculiarity of carp fishing is that it is kept around the clock. The carp fishing is often much better at night than during the day, and the likelihood of catching trophy species at a time when everything calms down and subsides significantly increases. 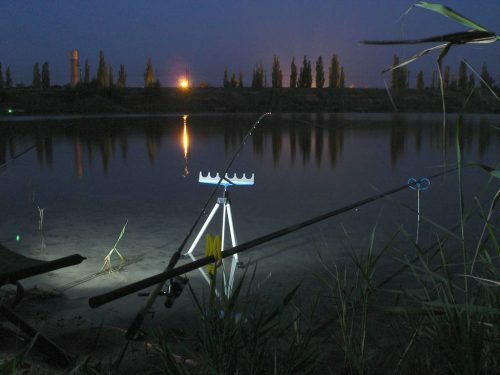 Therefore, night fishing is an essential part of carp fishing. At the same time fishing, carp at night dramatically complicates the usual actions of the fishermen which in the light of day are produced automatically and do not cause difficulties. To reduce the problems created by darkness to a minimum level it is necessary to prepare correctly for night fishing. First of all, it is necessary to carefully consider the routes of your movement during the night fishing. And ensure that there are no obstacles on the way from the tent to the rods, from the rods to the place where you are supposed to fish, from this place to the carp mat, from the stand with the rods to the mounting table on which it is necessary to change leashes, nozzles, etc. It is a vital element in preparation for carp fishing at night, as adrenaline in the blood after a night wake. Combined with blunted reflexes after a sudden awakening and darkness can be a lousy partner. With a very high probability, you do not notice the obstacles running out of the tent to the rod or carrying the trophy after a long struggle to the carp mat, which can lead to a severe injury, the destruction of expensive gear and other troubles capable of hopelessly spoiling fishing. At night, it is especially important that any equipment that may be required in the process of fishing should be in strictly defined places. It will help, first, to quickly find the right thing, and secondly, to avoid breaking, for example, the expensive carbon fibre, which will undoubtedly happen if you step on it in the dark. The success of carp fishing in many ways depends on the right organisation of illumination for the vital camp areas. past the fishing zone with impunity. You can make the moving around the campsite in the dark easier by placing the flashlights at critical points. In the garden departments of building supermarkets, kits of such lanterns cost a penny. To make the performance of a variety of activities inside the shelter easier to arrange to light inside the tent. The easiest way to do this is with the help of individual lamps, which are suspended in the upper part of the shelter with the help of hooks or magnetic fasteners. It is very convenient if such a light automatically turns on after biting and is controlled by remote control. With the help of unique lamps on clothespins, it is possible to arrange additional local lighting for the mounting table. 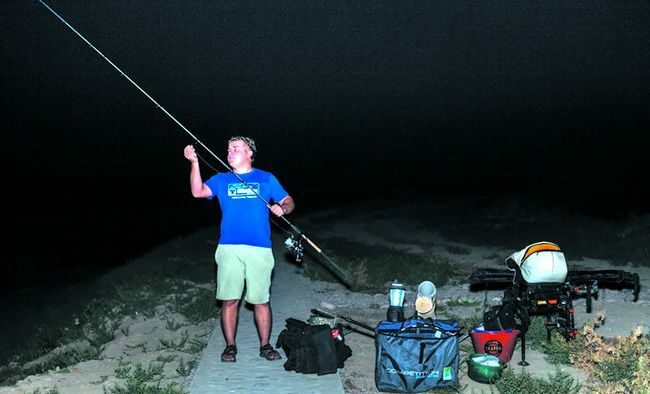 One of the most critical elements of the equipment for night fishing is personal flashlights, which leave hands free. Such devices are attached either directly to the head with the help of band gum (headlights), or on the cap of the baseball cap (with the help of plastic clips). Models for baseball caps are very light, but since they are with rare exception supplied from very compact batteries, they do not work for a long time from one set. Also, during the cold night, you feel not entirely comfortable in the baseball cap. Headlamps are structurally monoblock and two-block. In two-block models, the batteries are placed in a separate block which is attached to the back of the head. Walking in such a flashlight is very convenient because its mass is symmetrically distributed on the head. But for specific conditions of carp fishing, these lights are not very suitable. Firstly, sitting in a chair with a high back, when trying to tilt the head back the battery pack very unpleasantly presses on the end of the head. Secondly, waiting for a bite often falls asleep without removing the flashlight; In this case, the block attached to the back of the neck prevents sleep on the back. Therefore, the best choice, in my opinion, is a lightweight monoblock headlamp flashlight. Carp, seeing the light of the lantern, often make the last effort with a few desperate attempts to get rid of the hook, which often are successful. It is better to use a flashlight with a red light in the final stage of carving; the carp behaves much more calmly in this case. Especially convenient are flashlights in which the red light is turned on not by repeated pressing of the button, but with the help of a quickly lowered filter. If you are not used to sleeping in a flashlight, keep it in a particular organiser, fastened to the frame of the clamshell, then the torch will always be in hand, and you won’t accidentally step on it. The main advantage of night fishing is that at this time carp, unusually large, eat more boldly than in the daytime, and often comes closer to the shore. Cases of fishing night trophies are often several tens of meters from the coast. Therefore, it is necessary to observe silence at all times and try not to shine lanterns on the water without extreme necessity. For night fishing it is possible to prepare in advance a particular point located in a promising place of the coastal zone (both from its own and from the opposite shore). It is necessary to feed the night fishing zone with such noisy means of delivery of bait, like balls and rockets, in advance, so as not to violate night silence. In the dark, it is better to feed with almost noiseless tools, such as a cobra-tube and a slingshot (if the use of the latter is allowed with the distance to fish). It should be borne in mind that the preferences of fish can drastically change during the day. It is partly due to a change in the activity of digestive carp ferments. At some period of the day, ferments that break down proteins are more active, in some – splitting carbohydrates. Also, the bloodworm and other organisms that form the basis of the natural diet of carp, are also prone to day rhythms, which also affects fish nutrition. Therefore, the nozzle, which worked flawlessly during the day, at night can completely lose its effectiveness. If this happens, try changing the nose to the opposite (sweet to fish, and vice versa). 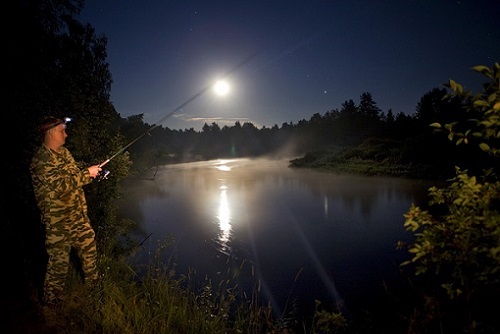 Carp fishing at night can be very exciting and, with the proper approach to it, it can give you many pleasant minutes and joy from owning a trophy.